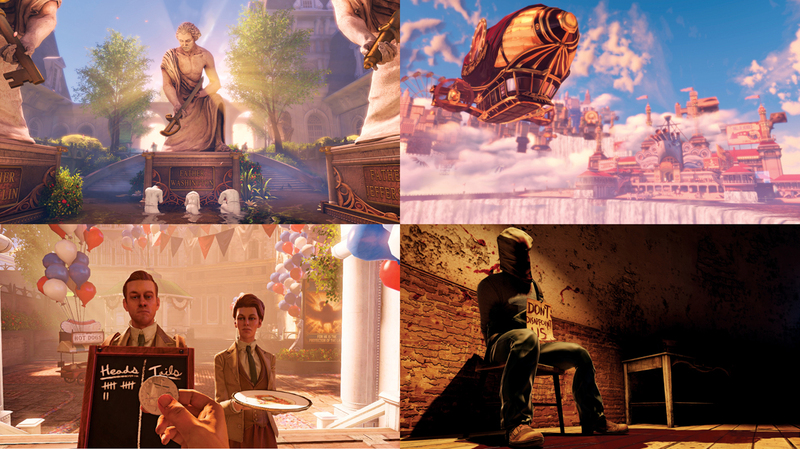 Midway through BioShock—the video game Ken Levine wrote, the one that made his name famous—there is a moment when you, the player, are offered the option of killing a child. The girl, bony and hollow-eyed, cowers before you. If you let her live, the game will go on, but if you kill her, the game rewards you with increased strength. Either choice will have ramifications further down the line, but you can’t know this now. The child squirms to escape your grasp. You have to make your choice. The game has sold more than four million copies. Levine—at age 41, a failed screenwriter who had struggled for years to find an artistic niche—became a god among gamers. “Levine is known in his industry as a mad genius, a man whose games take five or six years to make, burn out staffers along the way and end up blowing players’ minds,” the Los Angeles Times wrote of him recently. In a field that requires intense collaboration among large teams of coders, artists, and designers, Levine has a reputation as an auteur, a stickler whose games are an expression of his own singular vision. 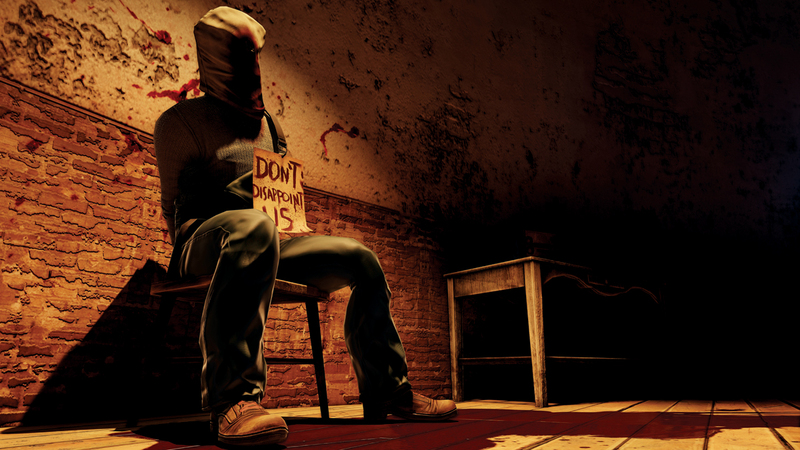 Violence has always been a given in the genre of first-person shooters, the kind of game Levine writes. When BioShock came out, few questioned that. But this time around, in Infinite’s wake, some gamers are saying games should do more than just perfect the look of blood and wounds, do more than make the killing authentic. Games, they argue, can be more than even Ken Levine thinks they can be. Even today, at the age of 47, Levine calls himself a nerd. His default tendency in an interview is toward self-deprecation, again and again—“I was a B student,” he’ll say at one point, and then at another point, “I had no friends.” His origin story contains the standard sad-geek details—an isolated, bookish childhood, complete with a stigmatizing speech impediment—with an extra dollop of pathos: Lots of geeks played Dungeons & Dragons, the seminal tabletop role-playing game, but only Levine cops to having played it alone. He had been making ends meet by working as a computer consultant, so in 1995, Levine answered a job ad in a gaming magazine. He got the gig: game designer at a small studio in Boston called Looking Glass Studios. For Levine, coming to Looking Glass—and to video-game design—was like a rebirth. One of Looking Glass’s critical early successes was 1994’s System Shock, a space adventure with some artificial intelligence and computer hacking thrown in. It wasn’t a big seller, but critics loved its immersive environment. Though he didn’t work on System Shock, Levine sees it as hugely influential on his own games. Here was a game that could enmesh players in a plot, allow them to explore a 3-D world, and offer them choices that could shape the game’s outcome. They had left Looking Glass on good terms, and Neurath proposed that Irrational collaborate on a sequel to System Shock. Released in 1999, System Shock 2 wasn’t a great seller, either, but with an acclaimed title to its credit, Irrational slowly grew. Industry giant Take-Two Interactive bought Irrational in 2006, giving the studio a publisher that would fund even more elaborate games. The deal also made Levine a rich man. 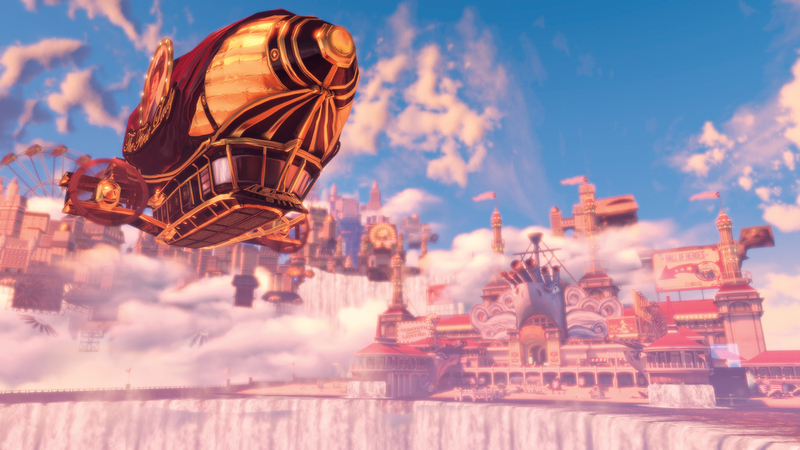 Take-Two committed to publishing the studio’s next title, and Levine began writing the game that would become BioShock. Blasting aliens, however, would remain popular. 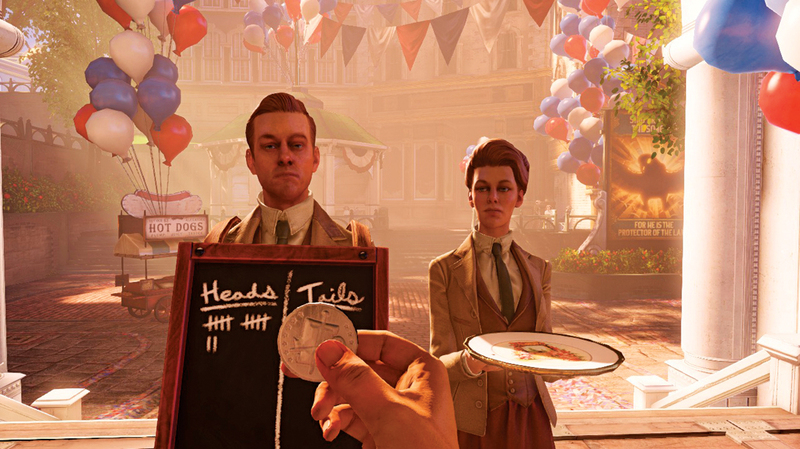 At its simplest, a first-person shooter like BioShock is not that far removed from the pattern set by old arcade games like Pac-Man: The player manipulates a character through a maze, gaining or losing prizes, fighting or evading enemies. At the end of the maze, the game—and its story—end. While marketing Infinite this past year, Levine appeared in every major gaming publication and at every convention, teasing audiences with clips and concept art and morsels of Infinite. His fans—almost 79,000 on Twitter—ate it up. They had been looking forward to this for the better part of a decade. There had already been a follow-up to BioShock: the prosaically named BioShock 2, released in 2010, by another division of Take-Two. It was mostly a rehash of the original, and Levine had had nothing to do with it. Infinite was to be Levine’s true sequel. Levine calls art a pressure cooker. Dozens of people worked on Infinite—artists, actors, composers, technical staff. Infinite’s story was so large that Levine spread the writing duties around. 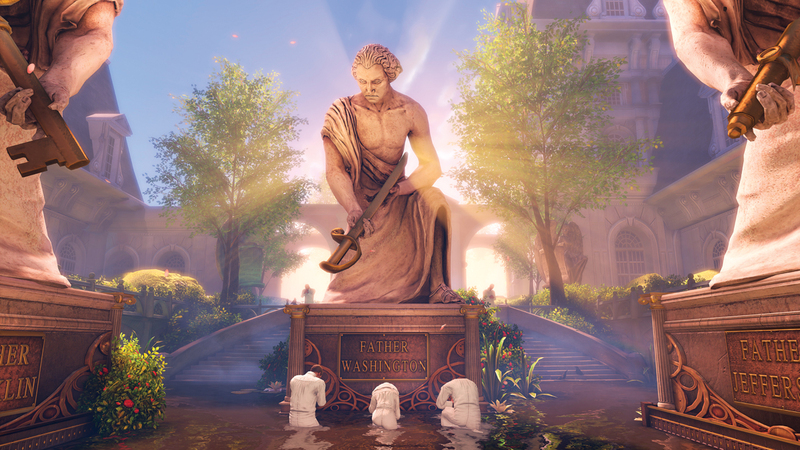 In the fall of 2013, when the game was supposed to be released, the company announced that its launch date would be pushed back months, and the press reported that four employees in creative roles had left Irrational before the product was completed. Fans worried that the project might be borked, but their fears were allayed when the game finally launched in March 2013.